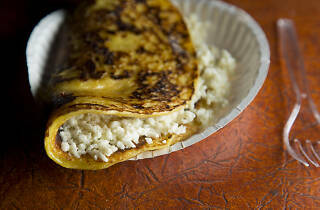 Between the taco trucks and skewer carts lining Roosevelt Avenue, you’ll find plenty of women doling out arepas. Only one of them is the official Arepa Lady, a sweet little Colombian woman with a huge following. 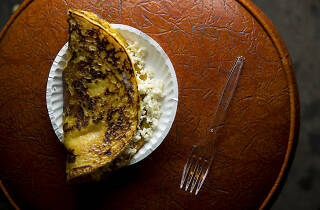 Late night on weekends, fans huddle around her cart, watching her slather each sizzling cake with butter. 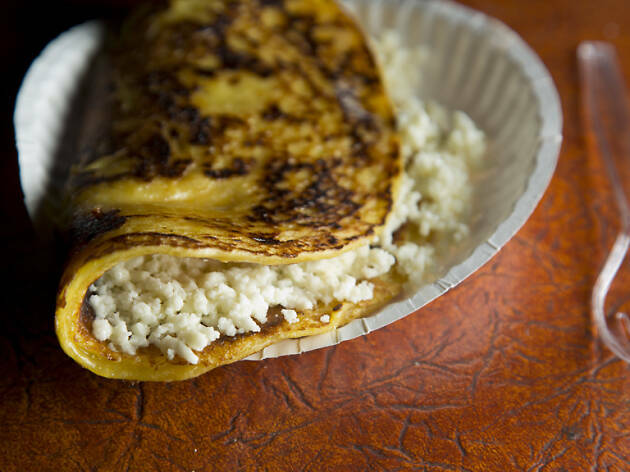 Her doughy white cornmeal arepa, crunchy on top and oozing with cheese, is ideal for those who need something savory at night’s end; her flat golden corn arepa, folded over omelette-style with queso bubbling inside, is more of a dessert. 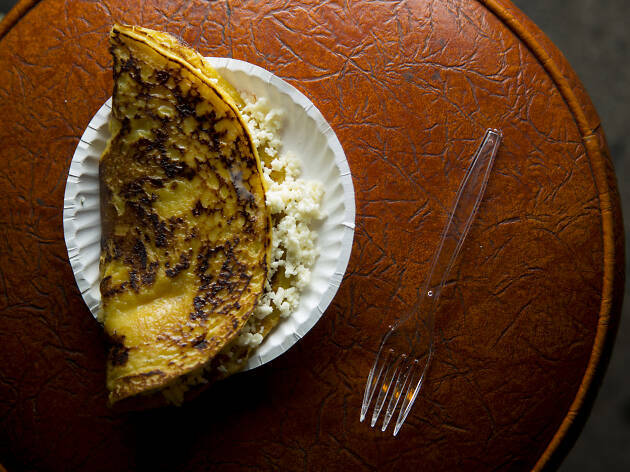 The Arepa Lady is no fool: Knowing full well that she serves the ideal drunken midnight snack, she’s set up shop—and doles out crispy empanadas as well—right outside a sports bar.